Through this project, entirely funded by BGR, HKI will use the Essential Nutrition Actions (ENA) framework to reach new mothers and expectant women at the right time with the right message to improve their own health and the health of their children. ENA promotes optimal nutrition practices, among them women’s nutrition, breastfeeding, complementary feeding, feeding the sick child, vitamin A, and the integrated control of anemia, vitamin A and iodine deficiency. The implementation of the project started in September, 2016, when HKI-Cote d’Ivoire contracted Mrs. Salimata Coulibaly to serve as master trainer in nutrition practices in the district. 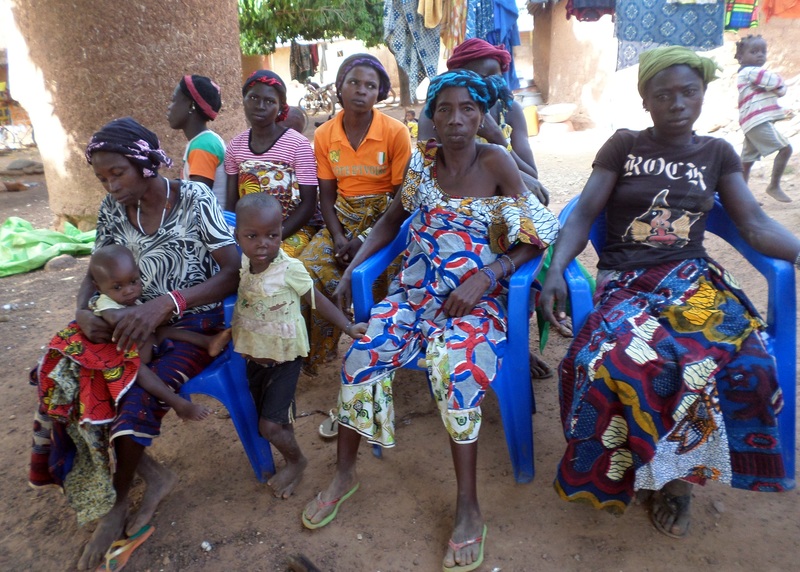 Salimata has a long, impressive history of successful nutrition interventions in the area. 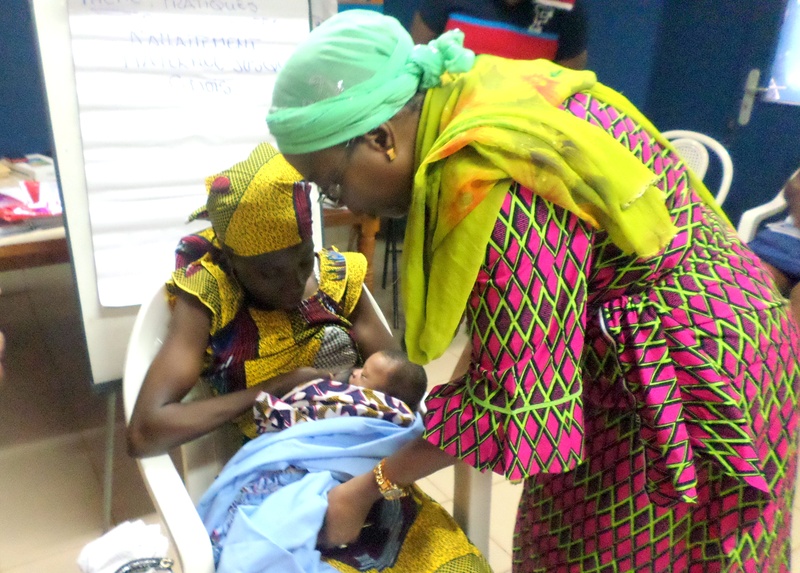 She has played a national advocacy role in building awareness of the need to treat childhood under-nutrition in the northern region of Cote d’Ivoire. She was the first person, 25 years ago, to start treating infants with severe acute malnutrition at a center she established in Korhogo in partnership with the Red Cross. She is highly respected, and brings years of experience as she works to reinforce health workers understanding of the Essential Nutrition Actions. 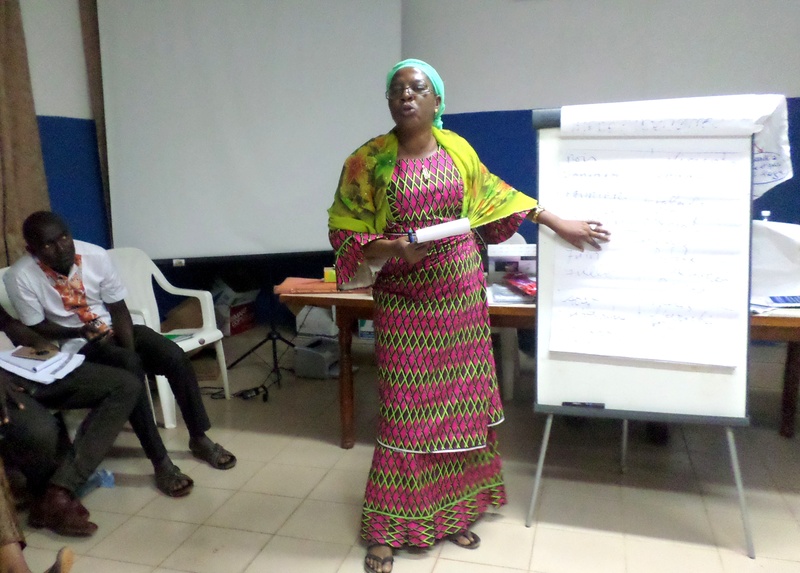 Salimata benefited from special train-the-trainer sessions organized by HKI to build her capacity to reinforce health worker’s understanding of the ENA framework during a regional workshop organized for nutrition experts from French-speaking Africa. To date, Salimata has undertaken assessment visits at 29 health clinics in Korhogo district, and has developed plans to reinforce and scale-up ENA practices in the respective communities being served by these health clinics. As of the writing of this report, Salimata has trained 85 health workers on the following themes: (1) nutrition of expectant and breastfeeding mothers; (2) exclusive breastfeeding for the first six months of a newborn’s life; (3) appropriate complementary feeding and continuation of breastfeeding for the first two years of a child’s life; (4) feeding the sick and malnourished child; (5) vitamin A, iron, iodine and zinc deficiency; and (6) essential actions in hygiene. Training of health workers to organize community cooking demonstrations are slated to start soon so that women can better understand how to incorporate healthier foods into their diets and that of their children. This article is based on a six-months interim report on the first year of the project from Helen Keller International. This entry was posted in Engaged Buddhism, Food security, Nutrition, Projects & programs and tagged Children's hunger, Cote d"Ivoire, Engaged Buddhism, Global hunger, Helen Keller International, Nutrition. Bookmark the permalink.